BT Beauty - a bright and stylish pattern on health and beauty from the world-renowned web studio BonusThemes. Exquisite design template created in nice bright colors that fits perfectly on any monitors, tablets and mobile. This template contains the module noveyshy slider that will help in the pleasant form organize new materials, news, promotions, advertising and much more. Large selection capability gives high pattern optimization increases the speed of loading pages and krosbrauzernost. 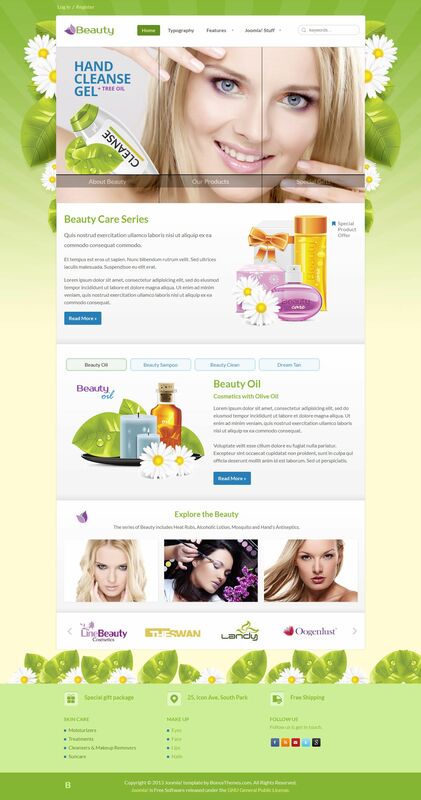 BT Beauty template is ideal for creating a site beauty salons, beauty shops site cards.